If you are looking for the truth about any organization, look to its people. 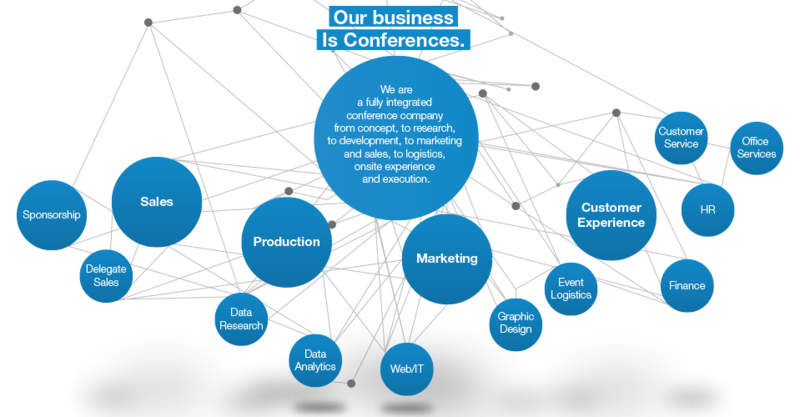 Talented people make us what we are: a global leader in the business intelligence conference industry. Our belief is that growth and success occurs when the power of people and the power of information come together. This is not a philosophy that is simply posted on company walls and websites. This is something we live by, every day and every event. For more than 30 years, we have evolved from a small entrepreneurial group to a dynamic, fast paced organization. We produce cutting-edge information, work with influential industry leaders, and foster high-level, long lasting connectivity. And it is our people, our committed, specialist, engaged and inspired people that achieve this. C5 is always seeking talented individuals to produce, market and support our conferences, workshops and publications. Do you have what it takes to help us continue to grow?